Mature student Nichola Davis left school with few formal qualifications but is now taking part in funded research as part of her BSc after joining us for a Foundation Year to improve her academic skills and confidence. 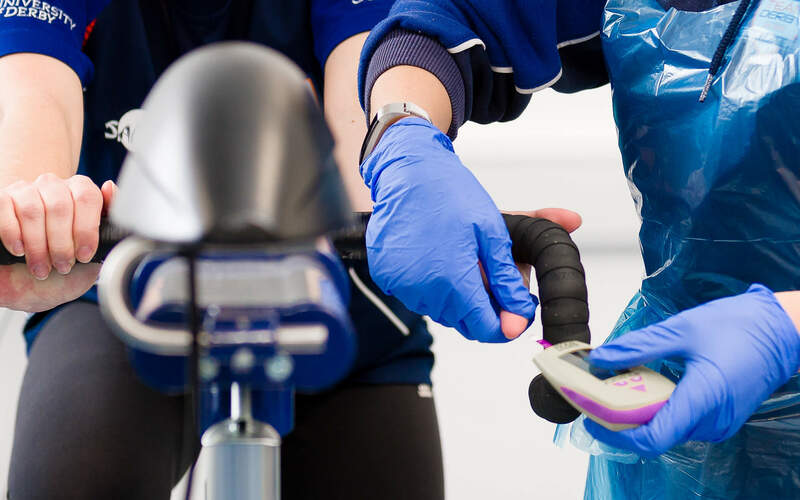 Researchers at the University of Derby are playing a leading role in advancing current debates about the influence of nutrition and diet on sport and exercise performance, opening up new opportunities for our students to contribute to impactful research studies. Nichola Davis is among the students who have contributed to the ongoing nutrition research. She has completed a formal internship, collecting data for a pilot study to evaluate the effects of acute ingestion of a proprietary black elderberry compound on nitric oxide biomarkers. For mature student Nichola, being involved in high-level research is something she never contemplated when she left school with few formal qualifications. Having spent time working in nurseries and as a nanny, she joined the BSc (Hons) Sport and Exercise Science degree course after taking a Foundation Year at the University to improve her academic skills and confidence. Now embarking on the final year of her degree, she says: “It felt like a big risk to leave a full-time job to go to university but I’ve not regretted it at all. As a mature student, you perhaps appreciate the opportunities all the more. "I initially volunteered to be a participant in various research trials but I became so interested in what went into the studies that I decided to start applying for research internships at the University. 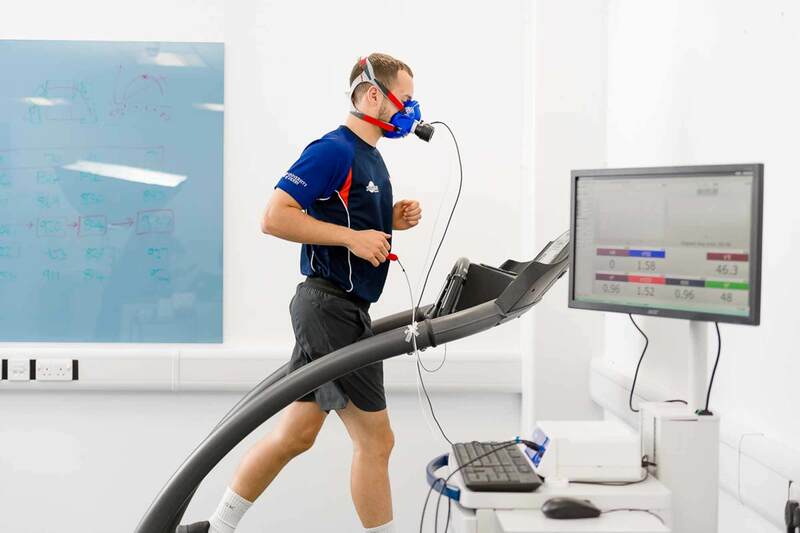 I’ve been involved in four internships now and they’ve given me invaluable insights into many different aspects of sport and exercise science research. "I prefer the hands-on side of learning so I’ve taken every chance I can to apply the knowledge I’ve gained through practical projects." Nichola feels that her new skills in areas such as data collection and analysis will prove vital as she starts work on her final-year dissertation exploring the use of face masks for training. For the future, she now hopes to take her studies to masters level and possibly beyond. 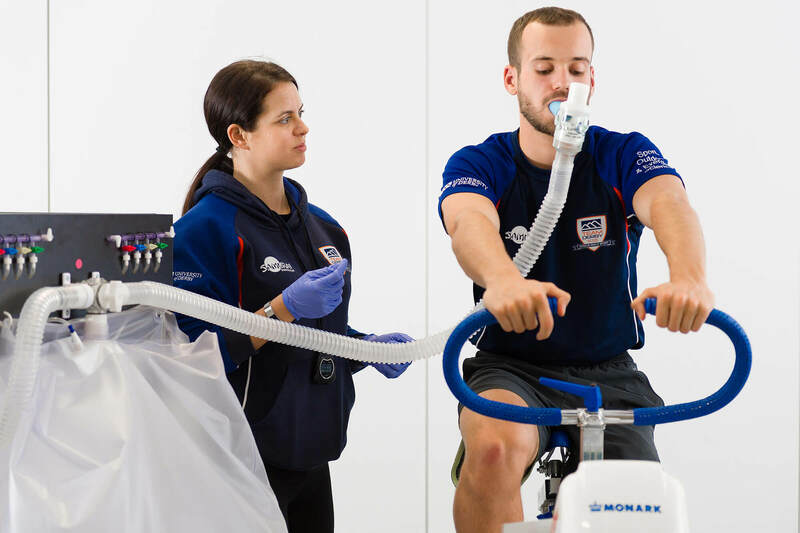 Dr Matt Higgins, Senior Lecturer in Sport and Exercise Nutrition, has always made it a priority to engage both undergraduate and postgraduate students in his research investigations.